Post World War 2, especially in South East Asia, commanders made increasingly imaginative and effective use of AFVs. Ingenious improvisations inspired by difficult terrain and fighting conditions led to the development of a broad range of armor. 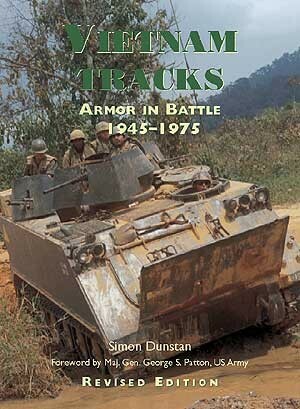 In this book, Simon Dunstan details each of these armored ‘tracks'. Over 200 official and private photographs in black and white and colour showcase a broad range of tanks, all expertly captioned by the author himself. Simon Dunstan is a well-established author, film maker and photographer specialising in military history. He has been writing on the subject of armored warfare for over two decades. 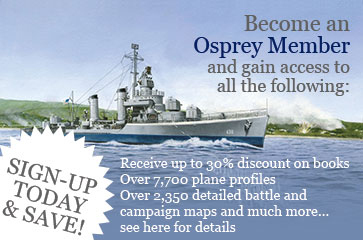 Simon's books for Osprey cover a broad range of subjects, including helicopter and armoured warfare in Vietnam, the Challenger Main Battle Tank, the British Guards, and armoured warfare in Korea. Simon lives and works in London.